Did you know that the average growth rate of a goldfish is about an inch per year? It’s hard to believe that goldfish, even the fancy ones, get as large as they do. So-called feeder fish can start out at an inch long at the pet store, but after a number of years can achieve a length of over 12 inches – more than foot long! The average breed of fancy goldfish can easily attain 6 to 8 inches or more. In fact, the largest goldfish in the world, Bruce (a fancy goldfish) weighed in the same as a small cat, and is over 16 inches long! So, is there a way that we can manipulate the environment of our goldfish to make it more conducive to goldfish growth? We’re going to explore the 5 main factors that play into growth promotion and what we can do to help. How do you make your goldfish grow? Having a good diet is influential from the first 10 months of a goldfish fry’s life and onward. Serious breeders feed goldfish fry a high protein diet of live foods, such as microworms and baby brine shrimp, for a reason: protein stimulates growth and helps to produce the largest fish. The runts in a spawn who do not get as much food as the others will not be able to achieve the size of their siblings. Some fry will never get more than a few inches long for the rest of their lives because of a diet low in nutrients. As the goldfish ages, a nutritious diet still plays a large part in its growth. That is why feeding good food is a must, as well as providing quality staple foods in the diet to ensure the fish gets all of the nutrients it can. Live foods and veggies, in addition to a good protein staple like pellets, can help your goldfish grow and stay healthy. As a warning, be sure not to overfeed in an effort to get your fish to grow! This will make your water polluted and cause your fish to be sick. So many goldfish have the potential to reach an impressive size, but the hopes are dashed when their owners decide to buy an undersized tank or overstock. 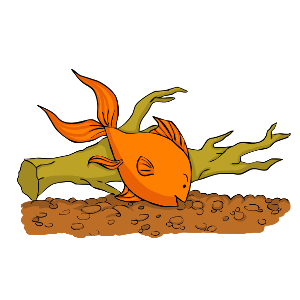 Goldfish growth can be stunted when there is simply not enough room in its aquarium. 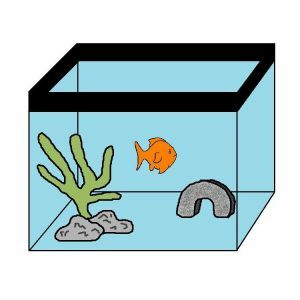 Activity is restricted so it does not get enough exercise when the home of the fish is too small, and little exercise results in little growth. 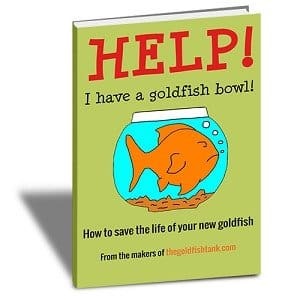 Additionally, the build up of the growth hormone in a tank packed with too many fish or a tank with too little water causes goldfish to be stunted. Stunted goldfish are permanently impacted; the damage is irreversible. By providing enough space for your goldfish to swim and grow without being overcrowded, you can help your goldfish tremendously to get large and stay healthy! Scientific studies have shown that temperature does indeed play a role in the growth rate of goldfish. Goldfish kept in warmer water temperatures consume more oxygen, eat more food and are generally more active than those kept in colder water, according to this article. While there are pros and cons to having the aquarium at a warmer temperature, water that is kept in the mid 70’s is premium for goldfish growth. Unless you are a goldfish breeder, you really can’t do much about this factor because you are on the receiving end of things. Unless your goldfish has parents that reached a good size, chances are that all of the care and grooming you can offer it will not make much of a difference in the end. Buying goldfish from a quality breeder rather than a chain store can help ensure that your goldfish gets some good genes for growth. Enough can’t be said about the importance of keeping good water quality for your goldfish’s overall health, but it does plays a role in the growth of the fish as well. 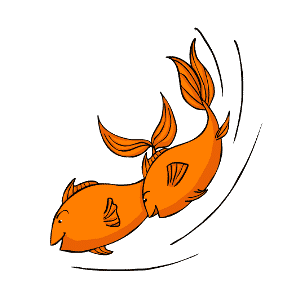 When toxins are present in the water or when the water chemistry is not stabilized, the goldfish cannot grow normally as it would in optimal conditions and must channel its strength and resources into surviving. Doing regular weekly water changes is absolutely imperative for your fish – clean water stimulates their growth like nothing else can.